Juicing became a big thing in 2013. Many people have started drinking their fruits and vegetables and have improved their over all health. My son Joshua, after turning 2 years old has become a picky eater. Joshua no longer likes vegetables and prefers just rice and meat with soup. He prefers McDonald’s rather than real food. Ok, who can relate with me? But as of recent Joshua has been holding back his bowels because he has constipation. He would cry in pain as he would pass his bowels. It was why he would rather hold it in as long as he could. So we explained to him that he needs to eat vegetables. He gives us that head gesture that says “no”. 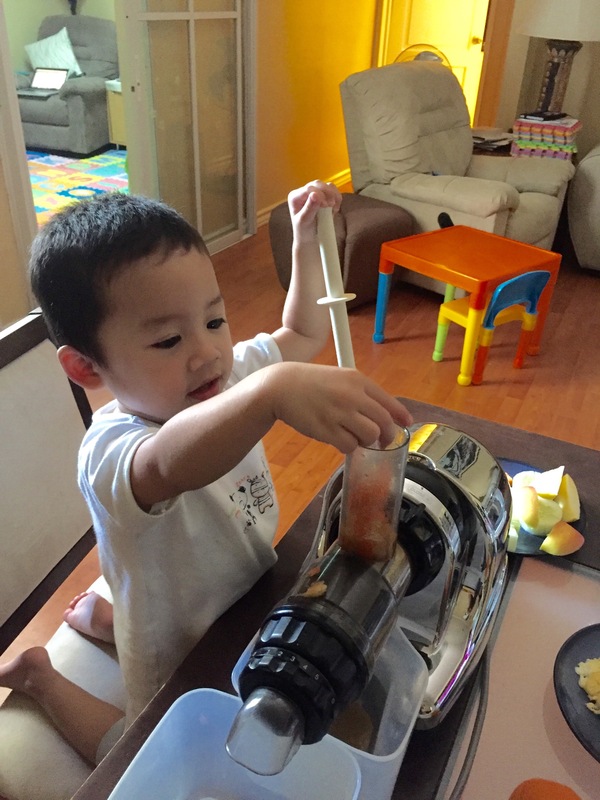 So we told him he needs to eat oatmeal and we have to start juicing. 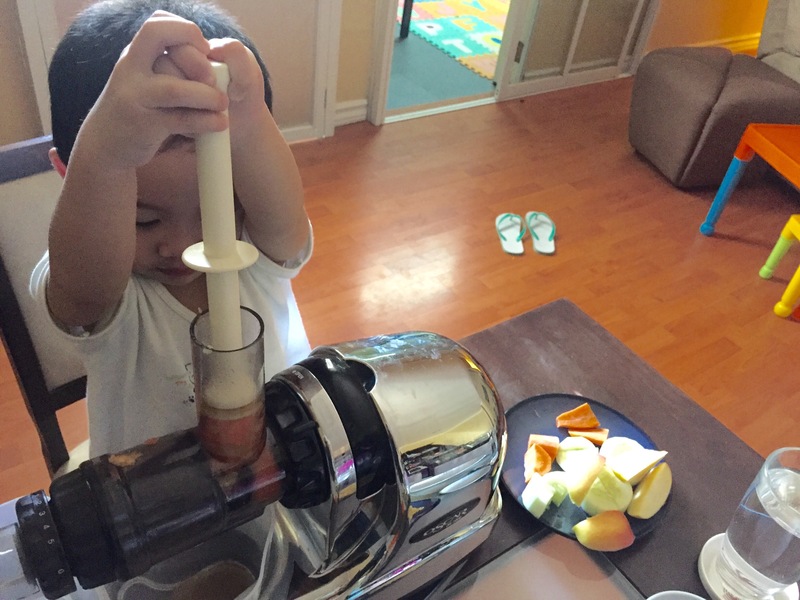 The juicing part he likes, because he likes to put fruits and vegetables in the juicer. Joshua was happy to keep putting slices of fruit and vegetables. When we were done we placed them in glasses with ice to keep it refreshing. 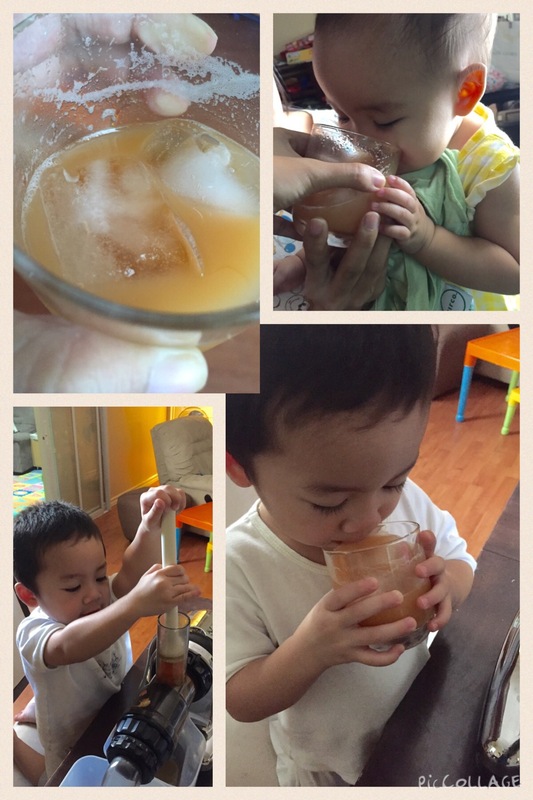 Joshua drank his power drink of the day and his little sister Anna had a couple of sips too! It was yummy, healthy, and refreshing. What a great way to get vegetables and fruit into the bodies of our little ones. So happy this is a healthy solution for my picky eater!